NASA Probe Captures Earth's "Song"
In space no-one can hear you scream? Maybe, but you can hear planet Earth sing with the right equipment. Listened to anything eerie and down right unsettling today? And before you ask, no I'm not talking about Coldplay's latest single. Well, feast your ears on this beauty. This enchanting sound recording from those under-funded guys at NASA is known, quite simply, as 'Earthsong' – you can listen to the MP3 here, via NASA. Like some kind of cosmic whale song, the sound you're hearing is what is known as, quite aptly, the 'Chorus' and it's caused by plasma waves in the Earth's radiation belt. 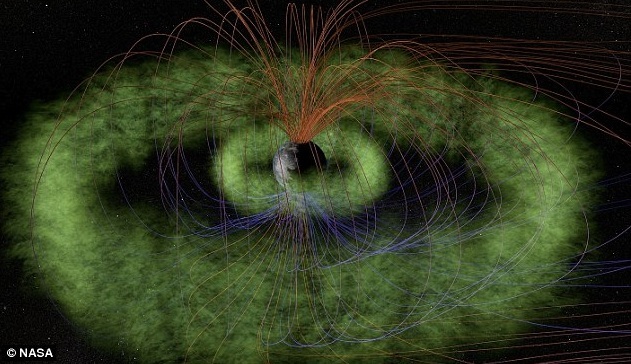 This particular recording “is what the radiation belts would sound like to a human being if we had radio antennas for ears," says Craig Kletzing of the University of Iowa, whose team built the “EMFISIS” (Electric and Magnetic Field Instrument Suite and Integrated Science) receiver that recorded the Earth's humble song. But far from being just a pleasing melodic lullaby 'sung' by our own fair planet, the sound is in fact the main focus for the 'Storm Probe' mission, investigating whether the Chorus is responsible for energising so-called “killer electrons” in our planet's outer radiation belt that can endanger satellites and astronauts alike by doing considerable damage to electrical systems. The Storm Probe mission has another two years to discover as much as possible about the Chorus and how it effects the space that hugs our planet, so you can expect plenty more verses to follow.